Please pardon our dust as we settle in; we've only recently moved in. We already have our bare necessities on display, but we might add more to our stock with time..
[center][img]https://dl.dropboxusercontent.com/s/oummgrma2dntglw/earthtop.png[/img] [b][size=5][color=8B4513]Wishlist[/b] [img]https://dl.dropboxusercontent.com/s/uau4yamn96qep5a/earthmid.png[/img][/center] [color=8B4513]If prices aren't specified, I generally follow the lowest Auction House values. Below is an overview of the different payment options, I'll happily accept. [center][img]http://flightrising.com/images/layout/treasure_pile.png[/img][img]http://flightrising.com/images/layout/gem_pile.png[/img] [color=8B4513]Cold, hard cash is always accepted as a payment. The gem to treasure ratio is set at 1:1000. [item=unhatched arcane egg][item=unhatched earth egg][item=unhatched fire egg][item=unhatched ice egg][item=unhatched light egg][item=unhatched lightning egg][item=unhatched nature egg][item=unhatched plague egg][item=unhatched shadow egg][item=unhatched water egg][item=unhatched wind egg][item=unhatched nocturne egg][item=unhatched bogsneak egg] [color=8B4513]All unhatched are valued at 200,000 treasure [item=rusted treasure chest][item=iron treasure chest][item=gilded decorative chest] [color=8B4513]Rusted Treasure Chest are valued at 1,500 treasure, Iron Treasure Chest at 10,000 treasure, and Gilded Decorative Chest at 30,000 treasure. If prices aren't specified, I generally follow the lowest Auction House values. Below is an overview of the different payment options, I'll happily accept. Cold, hard cash is always accepted as a payment. The gem to treasure ratio is set at 1:1000. Rusted Treasure Chest are valued at 1,500 treasure, Iron Treasure Chest at 10,000 treasure, and Gilded Decorative Chest at 30,000 treasure. Below I've indicated my current offers, but I am flexible and open for negotiation. Please message me if you would like to work out a deal. The Alpha-tester gift: the Celestial Egg, which hatches into the Celestial Pup. I'm offering 250k gems (pure) for this pupper. Alpha-phase support bundle: the Clerical Support Trinket, which hatches into the Clerical Cat. I'm offering 150k gems pure for this kitty. 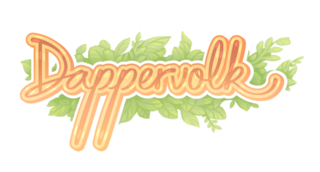 I'm also looking for a Creature Tamer tier code from Dappervolk's Kickstarter. My current offer stands at 100k gems pure. [center][img]https://dl.dropboxusercontent.com/s/oummgrma2dntglw/earthtop.png[/img] [b][size=5][color=8B4513]Coliseum Leveling Service[/b] [img]https://dl.dropboxusercontent.com/s/uau4yamn96qep5a/earthmid.png[/img][/center] [color=8B4513][b]Prices[/b] To ensure our own efficiency, we will not take orders for training below level 10. Level 10: 15 000 treasure / 15 gems Level 11: 20 000 treasure / 20 gems Level 12: 25 000 treasure / 25 gems Level 13: 30 000 treasure / 30 gems Level 14: 37 500 treasure / 38 gems Level 15: 45 000 treasure / 45 gems Level 16: 55 000 treasure / 55 gems Level 17: 65 000 treasure / 65 gems Level 18: 75 000 treasure / 75 gems Level 19: 90 000 treasure / 90 gems Level 20: 105 000 treasure / 105 gems Level 21: 120 000 treasure / 120 gems Level 22: 140 000 treasure / 140 gems Level 23: 160 000 treasure / 160 gems Level 24: 185 000 treasure / 185 gems Level 25: 210 000 treasure / 210 gems [quote=Order form] [b]Trainee(s):[/b] Names of dragons to be trained [b]From:[/b] Starting level [b]To:[/b] Desired ending level [b]Desired coliseum build:[/b] Culex, Mire Flyer, etc. [b]Provided battle stones:[/b] If applicable, Eliminate, Ambush, Rally, etc. [b]Payment:[/b] Treasure, gems or wishlist items [/quote] [color=8B4513][b]Coliseum builds[/b] If you are not quite sure yet which role you would like your freshly trained dragon to fulfill, you can use [url=http://www1.flightrising.com/forums/gde/2312095/1#post_30222253]this comprehensive guide[/url] to browse through the various established coliseum builds. To ensure our own efficiency, we will not take orders for training below level 10. Desired coliseum build: Culex, Mire Flyer, etc. Provided battle stones: If applicable, Eliminate, Ambush, Rally, etc. If you are not quite sure yet which role you would like your freshly trained dragon to fulfill, you can use this comprehensive guide to browse through the various established coliseum builds. Are Swipp & Co. being stingy and keeping the trade you want for themselves? Worry not, and wait no longer! I try to keep at least one of each of the Swipp exclusive items in my hoard for this service. I'm happy to trade the item that Swipp would normally trade with you, in exchange for the required ingredients and 5 000 treasure. Items in this department are quite rarely available. Some are available based on the season, others at completely random intervals. I will try to keep this department well-supplied, in case you missed a window. Apart from being a popular ingredient in sorcerer's brews, cobwebs can also act as a great accessory! Apart from being a popular ingredient in witch's brews, cobwebs can also act as a great accessory! A fine piece of dark shimmering jewelry, elegantly draped to cover the head of the dragon. A look through history; in this department you will find my stock of festive skins and accents accumulated through the years, dating as far back as November 2013. Rockbreaker's Ceremony 2013. (10/10) Designed by Dembiscuits. Crystalline Gala 2014. (1/10) Designed by Bluedragon. Crystalline Gala 2014. (2/10) Designed by Smugwing. Crystalline Gala 2014. (5/10) Designed by DayDreamer. Crystalline Gala 2014. (6/10) Designed by Galli. Crystalline Gala 2014. (7/10) Designed by Kaenith. Crystalline Gala 2014. (9/10) Designed by BritishSarcasm. Crystalline Gala 2014. (10/10) Designed by rattus. Mistral Jamboree 2014. (10/10) Designed by DaughterofLight. Wavecrest Saturnalia 2014. (3/10) Designed by Skelizard. Wavecrest Saturnalia 2014. (5/10) Designed by Yoruko. Wavecrest Saturnalia 2014. (6/10) Designed by Pesticide. Wavecrest Saturnalia 2014. (7/10) Designed by TeaDino. Wavecrest Saturnalia 2014. (8/10) Designed by Teru. Wavecrest Saturnalia 2014. (9/10) Designed by figpigs. Wavecrest Saturnalia 2014. (10/10) Designed by Cassiopeia. Greenskeeper Gathering 2014. (1/10) Designed by Daichym. Greenskeeper Gathering 2014. (6/10) Designed by Cereious. Brightshine Jubilee 2014. (4/10) Designed by Kaye00. Flameforgers Festival 2014. (7/12) Designed by TeaDino. Flameforgers Festival 2014. (10/12) Designed by Ionil. Starfall Celebration 2014. (5/12) Designed by Fikus. Starfall Celebration 2014. (7/12) Designed by Verceri. Riot of Rot 2014. (8/12) Designed by Doomling. Rockbreaker's Ceremony 2014. (3/12) Designed by Twigwise. Rockbreaker's Ceremony 2014. (7/12) Designed by miirshroom. Rockbreaker's Ceremony 2014. (9/12) Designed by Calavera. Crystalline Gala 2015. (1/12) Designed by Jisonshin. Crystalline Gala 2015. (3/12) Designed by Yoruko. Trickmurk Circus 2015. (3/12) Designed by Grovey. Mistral Jamboree 2015. (11/12) Designed by SageWolfArtist. Wavecrest Saturnalia 2015. (1/12) Designed by Heathers. Wavecrest Saturnalia 2015. (9/12) Designed by mus. Greenskeeper Gathering 2015. (7/12) Designed by Thraka. Greenskeeper Gathering 2015. (9/12) Designed by Oxygene. Greenskeeper Gathering 2015. (11/12) Designed by Frayta. Brightshine Jubilee 2015. (5/12) Designed by Piney. Brightshine Jubilee 2015. (9/12) Designed by Zangoose. Brightshine Jubilee 2015. (11/12) Designed by Chee. Thundercrack Carnivale 2015. (7/12) Designed by houseteeth. Thundercrack Carnivale 2015. (9/12) Designed by Yoruko. Thundercrack Carnivale 2015. (11/12) Designed by SolarRush. Flameforgers Festival 2015. (2/14) Designed by Ursus. Flameforgers Festival 2015. (6/14) Designed by Heathers. Flameforgers Festival 2015. (7/14) Designed by cniht. Flameforgers Festival 2015. (11/14) Designed by Dessy. Flameforgers Festival 2015. (12/14) Designed by Kheelan. Starfall Celebration 2015. (5/14) Designed by Zwynx. Starfall Celebration 2015. (8/14) Designed by buns. Starfall Celebration 2015. (11/14) Designed by Exquisitor. Riot of Rot 2015. (3/14) Designed by Neuromancer. Riot of Rot 2015. (8/14) Designed by Tokagero. Riot of Rot 2015. (9/14) Designed by Alive. Riot of Rot 2015. (14/14) Designed by Danie. Rockbreaker's Ceremony 2015. (1/14) Designed by Billygoatsgruff. Rockbreaker's Ceremony 2015. (3/14) Designed by Dorkanoora. Rockbreaker's Ceremony 2015. (8/14) Designed by Kizmetto. Rockbreaker's Ceremony 2015. (10/14) Designed by Shika. Rockbreaker's Ceremony 2015. (12/14) Designed by ketchup. Rockbreaker's Ceremony 2015. (14/14) Designed by Studio. We are in the process of compiling our Hibernal Den stock. This will take a bit, but in the mean time feel free to inquire after specific items. Nocturnal, these sentient mushrooms are not interested in the passage of dragons. Several times the length of most dragons, these sinuous serpents possess dangerous, spined fins. When sending messages oversea, a tradewinds gull is the bird of choice. Here for battle and glory! May it find both! These beasts of war are outfitted with armor that's nearly as dangerous to its rider as its opponent! The wings of this mantid never become large enough to facilitate flight. These evolutionary oddities lay eggs but nurse their young. They also chirp! Feasting a diet of crystal-scaled fish has had a dramatic effect on the plumage of this crane. Sometimes dragon eats fish. Sometimes fish eats dragon. The powerful talons of harpies can crush the bones of their prey. Often mistrusted, these occult-seeking acolytes wander ruins and graveyards, calling softly to beings unseen. Those Maren who take up trident and claw are adept aquatic fighters. In this department, I will be listing an overview of the items I have for sale on the Auction House. You can click the item name to get a quick short-link to the specific listing on the AH. These items are sold for gems, only. A fine piece of shifting green jewelry, elegantly draped to cover the head of the dragon. A fine piece of golden jewelry, elegantly draped to cover the head of the dragon. A fine piece of silver jewelry, elegantly draped to cover the head of the dragon. A fine piece of sky blue jewelry, elegantly draped to cover the head of the dragon. A pair of graceful diaphanous anklets. A pair of graceful diaphanous bracelets. A graceful twist of diaphanous filigree. A graceful lattice of diaphanous jewelry. A graceful diaphanous twist of jewelry. A pair of graceful diaphanous wings. A pair of graceful ember anklets. A pair of graceful ember bracelets. A graceful twist of ember filigree. A graceful lattice of ember jewelry. A pair of graceful ember wings. A pair of graceful grove anklets. A pair of graceful grove bracelets. A graceful twist of grove filigree. A graceful grove twist of jewelry. A pair of graceful grove wings. A pair of graceful siren anklets. A pair of graceful siren bracelets. A graceful twist of siren filigree. A graceful lattice of siren jewelry. A graceful siren twist of jewelry. A pair of graceful siren wings. A pair of graceful twilight anklets. A pair of graceful twilight bracelets. A graceful twist of twilight filigree. A graceful lattice of twilight jewelry. A graceful twilight twist of jewelry. A pair of graceful twilight wings. A delicate lily. Thousands of these flowers blanket the Star Wood Strand, leaning towards the Arcanist's observatory. A tropical flower native to the Viridian Labyrinth. This particular genus changes color depending on its proximity to bodies of water. While I have a few copies in stock, and try to restock on a regular basis, it might happen that an item is sold out sometimes. If this is the case for you, please let me know, and I'll ping you when the item restocks. "Please be welcome to our little shop. We have officially opened! Feel free to browse around to your heart's content. Please do pardon the dust, as we've only just settled in."